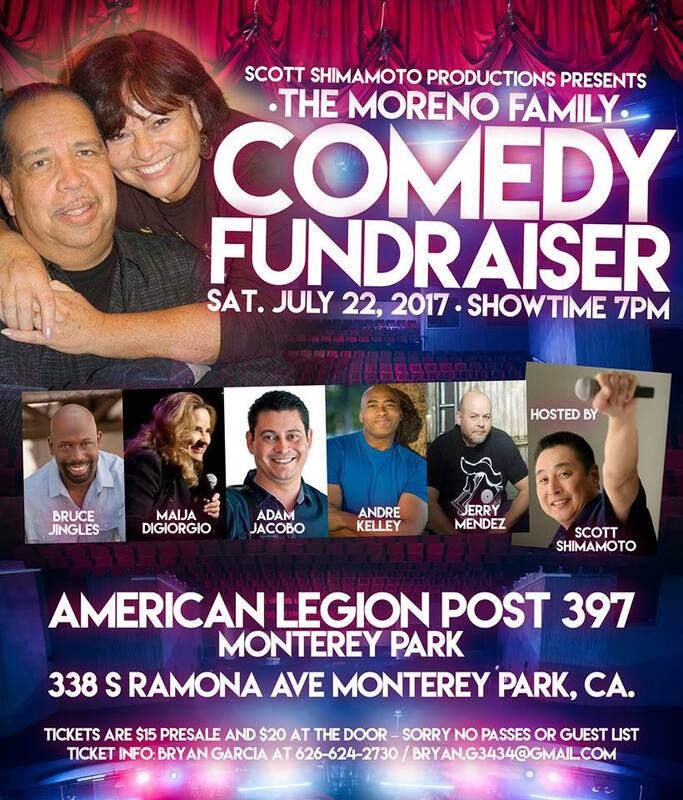 PLEASE HELP ME SUPPORT MY BUDDY RUDY MORENO!! I just signed with Prestigious Models!!! The next evolution of my career was to sign with Prestigious Models, an agency who will help me get into commercials and more! Kim Loan Duong is a successful model/entrepreneur who has been featured in Forbes Magazine!!! Click this link to see the Forbers article featuring Kim!!!! 10th ANNUAL RELAY FOR LAFFS 2016!!! It's Saturday, March 19 @ 6PM!!! I'm so happy to celebrate our 10th annual show!! 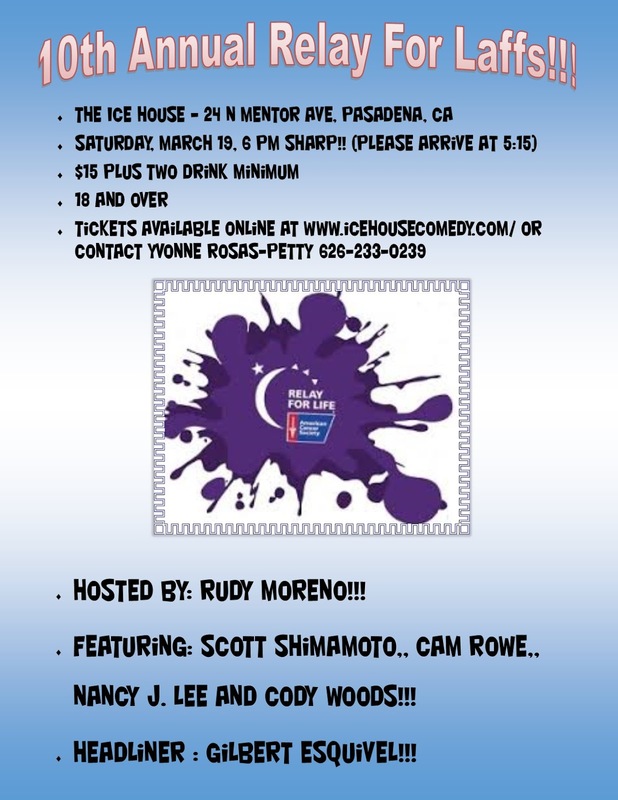 We have a GREAT line up scheduled for the night! We have raised pretty close to $20,000 toward finding a cure over the past 10 years!!! Tickets are only $15 plus the two drink minimum. Click here to purchase tickets online!!! GILBERT ESQUIVEL - HEADLINER!!! - QUE LOCOS, CHEECH MARIN AND FRIENDS! 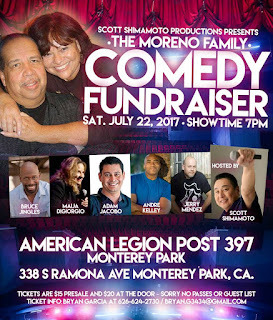 Need a fun, funny, and effective way to raise money for your charity or cause? 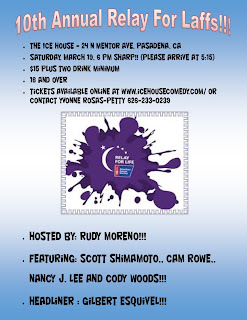 Check out this clip from a charity fundraiser I produced at The Ice House. Email me to discuss how I can produce a show to suit your audience. My day job is no joke! 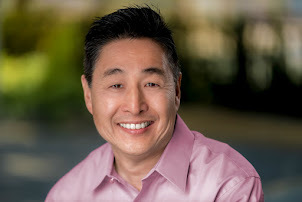 If you’re looking to buy a house or refinance your current home loan, let's talk. I'm with Franklin Loan Center and part of a direct lender team that puts investors in competition for your business. I’ll help you choose the loan that fits your needs, not the investor’s needs.